Our off-course facilities are second to none with our luxurious clubhouse at the centre of it all. 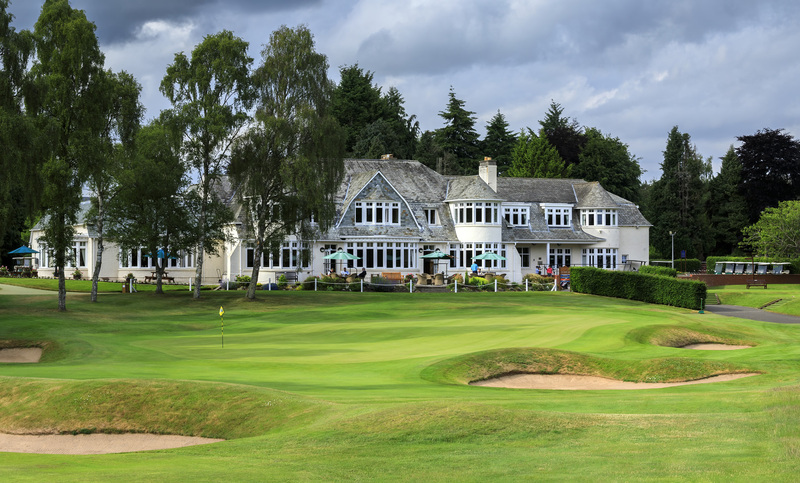 The award-winning Clubhouse at Blairgowrie Golf Club offers fantastic facilities for members and guests alike. The combination of these outstanding facilities, matched by our friendly and efficient service provided by our team allows us to create a truly unique atmosphere. Our aim is to ensure all members and visitors feel welcome and very much at home. Our large bar offers a wide selection of alcoholic beverages ranging from seasonal cask ales, to premium beers and lagers, a compelling gin collection, elegant wines and a comprehensive collection of soft drinks.The Clubhouse is open 7 days a week from 7am until 11pm during the summer months. At present the bar is open from 11am to 8pm. Golfers who are visiting the club will be welcomed by our friendly team at the reception before having the opportunity to take a look around the fully equipped Pro Shop. Preparation counts. In our Pro Shop you will find the products, the service and the advice that will have you better prepared than ever. Our winning combination of our warm welcome and the view across the iconic Rosemount vista create a truly relaxing atmosphere, while a locally-sourced, hearty menu of golfer classics and specialities from Head Chef Gary Woodward appeals to all. At present the Catering service is open from 9am and last orders are at 6pm. We offer the highest-standard practice facilities in the region including two practice areas, covered hitting bays, a dedicated short game area, alongside our extensive putting green running as true as our Championship surfaces. Visitors to Blairgowrie Golf Club are able to make use of these facilities both before and after their round.